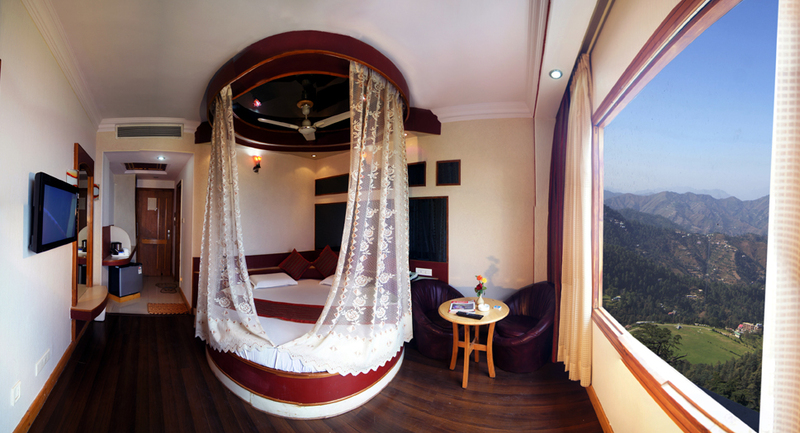 The Honey Moon Deluxe has SPECIALLY DESIGNED DECOR with modern facilities like bathtubs with Jacuzzi (optional) 24 hour running hot and cold water, 32'' LCD,Basic Toiletries,Centrally Heated (In Winters),EPABX,Tea \Coffee Maker,Mini Fridge etc. 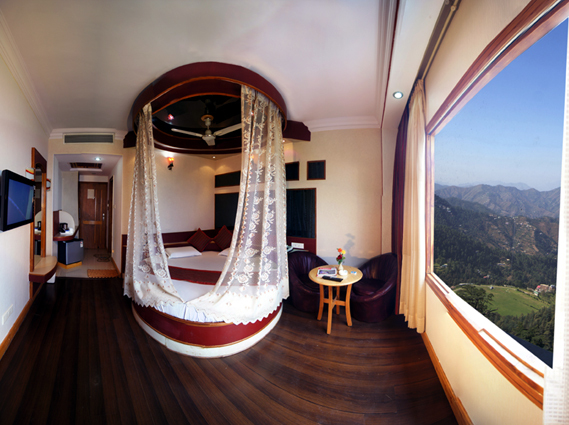 To make your honeymoon experience memorable these rooms do offers unmatchable valley view and has additional advantage of exploring mesmerizing beauty of different mountain ranges. Rates are valid for two adults only.